What happens when the most trusted protective smartphone case maker and the leading mobile battery producer team up? Answer — the uniVERSE expands. Last year, OtterBox launched its uniVERSE Case ($29.85 on Amazon), a durable case that was designed take a range of clip-on and slide-on accessories that expand the capabilities of iPhones. Now OtterBox has teamed up with battery maker Mophie to bring advanced universal wireless charging technology and superior battery power to the mix. Since it is modular, you can attach various accessories to the uniVERSE Case System — such as SanDisk expandable memory, Olloclip lenses and, of course, Mophie accessories — so that it can extend your iPhone’s existing hardware or features. 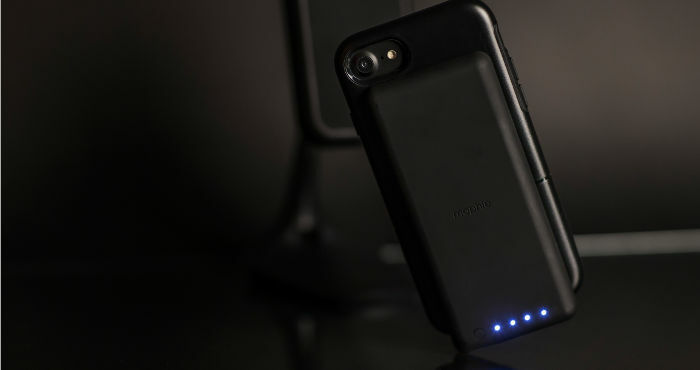 Mophie has produced the Charge Force Battery for the uniVERSE ($69.95 on Amazon) to extend your iPhone’s battery capacity with its own low-profile 2,500-mAh power bank. Its Priority+ charging technology ensures that your iPhone’s battery gets refueled first, then the Mophie battery. 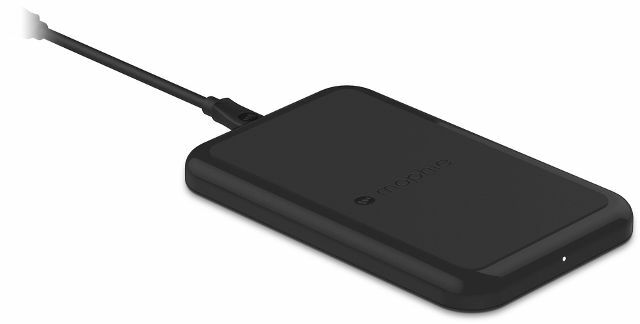 If you only need wireless charging convenience, there’s the Mophie Charge Force Adapter ($49.95 on Amazon) that is so slim and lightweight that you can barely notice it. The uniVERSE Case System can also be extended with other Mophie charging and mounting accessories. The case has a built-in magnet that holds the phone securely in place on any Mophie Charge Force mounting accessory and aligns both properly so the phone can charge. 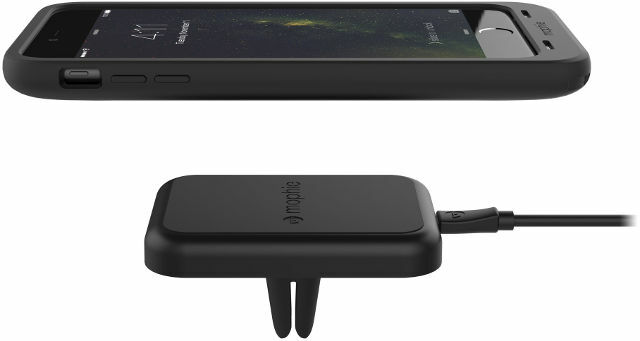 The Mophie Charge Force Wireless Charging Base ($39.95 on Amazon), for instance, provides a stable weighted charging base that won't slide when you drop your iPhone onto it to charge or when you grab your phone to go. For car use, there’s the Mophie Charge Force Vent Mount ($59.95 on Amazon). Four prongs behind the mount hold on to the air vent louvers in your vehicle so that it stays in place. Simply touch the uniVERSE Case to the mount and your phone will magnetically stick to it, perfectly aligned for wireless charging. 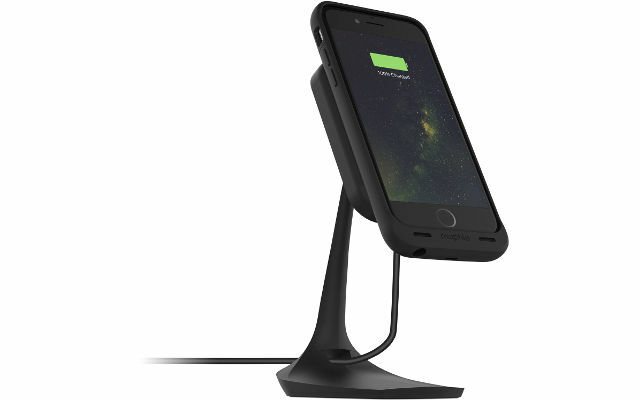 For the office, the Mophie Charge Force Desk Mount ($59.95 on Amazon) charging stand can be adjusted to the perfect viewing angle. Need more protective case options for your iPhone? Check out our list of cases that do more for your iPhone.